Social Stories: Social Stories were created by Carol Gray in 1991 to help teach social skills to people on the autism spectrum. They are short descriptions of a particular situation, event or activity, which include specific information about what to expect in that situation and why. This bundle covers 12 emotions. Great for children who need to work on understanding different emotions especially when other people are expressing them. I use this in my class for 5 / 6 year olds. 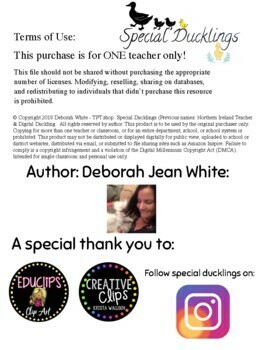 Children with Autism benefit greatly from this pack. I teach one emotion a week. Also the spelling of grey/ gray. Inside the pack there is a variety of activities to ensure that the pupils enjoy learning about different emotions. For the older child - they can read the social story, for the younger child - the parent/ teacher can read the story to the child. Each emotion has a poster, activity and a group of real children photographs expressing that emotion. 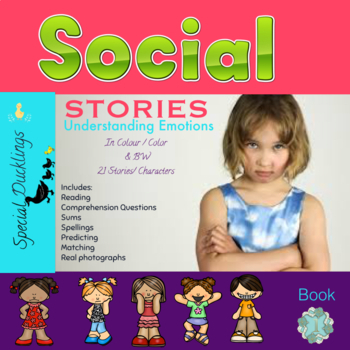 The bundle is designed to help young children understand and express feelings and emotions. 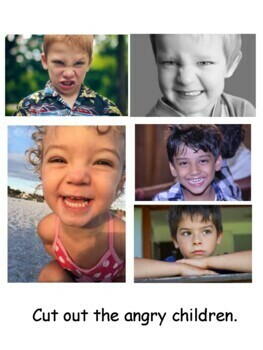 Identify emotions - children should be encouraged to look at facial features and body language to work out the emotion.